Nightingale Health, the Finnish innovator of an internationally recognized biomarker testing technology for chronic disease screening, will analyze 40,000 blood samples from Finland's largest biobank, THL Biobank, acting under the National Institute for Health and Welfare (THL). This initiative signifies a step towards bringing personalized medicine to Finnish healthcare. Until recently, prohibitive costs and time constraints have prevented analysis of comprehensive metabolic data from large-scale biobank collections, but this process has now been made viable by Nightingale's technology. Nightingale plans to enable preventive healthcare by fully integrating its technology into healthcare systems and providing tools for patients to follow up on their own health. "Nightingale's mission in solving the global burden of chronic diseases, such as diabetes and heart diseases, is strongly linked to continuous evidence generation. This means working with world-leading institutions and biosample collections to build the future of early chronic disease prevention. 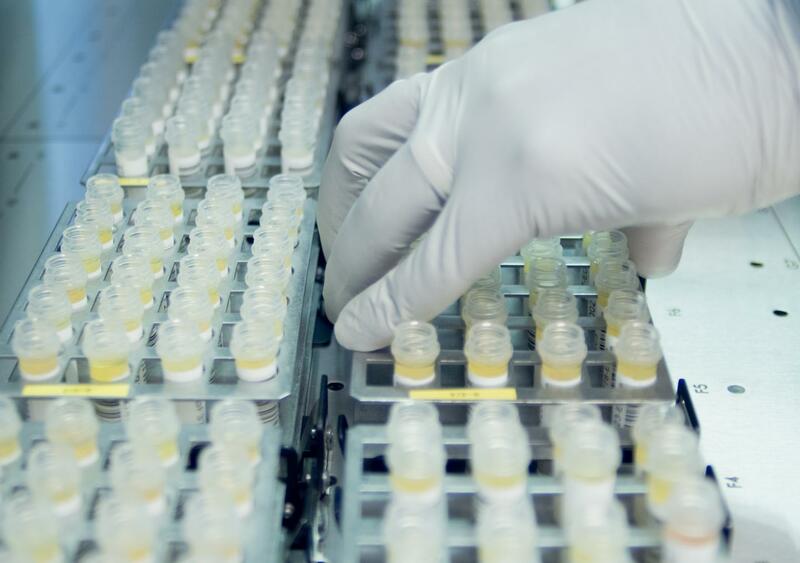 The scientific possibilities of very large sample collections are truly exciting and our scientific team at Nightingale is looking forward to starting their personalised medicine analyses of THL biobank samples," said Teemu Suna, CEO and Founder, Nightingale Health. The concept of personalized medicine is about understanding how to move from current medical practices, which deliver similar treatments for everyone, into providing more personalized treatments tailored to specific patient groups. "Very large sample collections, with samples from tens or hundreds of thousands of individuals, are required to take concrete steps towards personalized medicine. Analysing the 40,000 THL Biobank samples with Nightingale's biomarker testing technology allows us to capture detailed biological differences between patient groups. This translates into improved prediction of heart disease and other chronic diseases in the Finnish population," said Dr. Peter Würtz, Scientific Director and Founder, Nightingale Health. These efforts are aimed at solving well known problems in current medical practice. For example, in a nationwide study looking at the medical records of over 130,000 individuals (conducted by the University College of Los Angeles), almost 75% of patients hospitalized with heart attacks would not have been identified by cholesterol tests, a common diagnostic tool routinely used worldwide. "We believe that biobanks are an elemental part of solving global health problems. With the advent of personalized medicine, biobanks need to go beyond storing samples in the freezers and building clinical data repositories, by acquiring comprehensive molecular measures that have an impact on medical research and can eventually benefit our healthcare system clinical practice. We are excited to work with Nightingale to acquire comprehensive biomarker data to enrich our population cohorts at unprecedented scale. Our aim is to build THL Biobank into a treasure-trove for the global medical community, helping researchers and clinicians to find novel ways to build better healthcare for everyone. We'd like to thank our sample donors, without them this ambitious project would not been made possible," said Sirpa Soini, Director, THL Biobank. Nightingale Health Ltd. is the innovator of an internationally recognized NMR (Nuclear Magnetic Resonance) based biomarker analysis assay for early disease detection. Our aim is to solve the growing burden of cardiovascular disease and diabetes, accounting for healthcare costs of over 1.6 trillion dollars annually. Our pioneering precision medicine services, include: effective chronic disease screening, health diagnostics and improving treatment efficacy. By providing our customers with accurate health data, we plan to help empower patients to follow-up on their own well-being and take proactive steps to stay healthy. Finland's National Institute for Health and Welfare's (THL) statutory functions include studying and monitoring the welfare and health of the population, engaging in research and development work relevant to the field and promoting innovation. While performing these duties, THL has collected valuable population and family sample collections which are now being set to larger and more effective research use in the frame created by the new Biobank Act (688/2012). Biobanking ensures uniform access to samples and data, high-quality sample management and supply services, up-to-date databases for sample and data availability, and standardized information management of the sample collections. THL Biobank hosts a remarkable collection of population and disease-specific samples for research purposes.